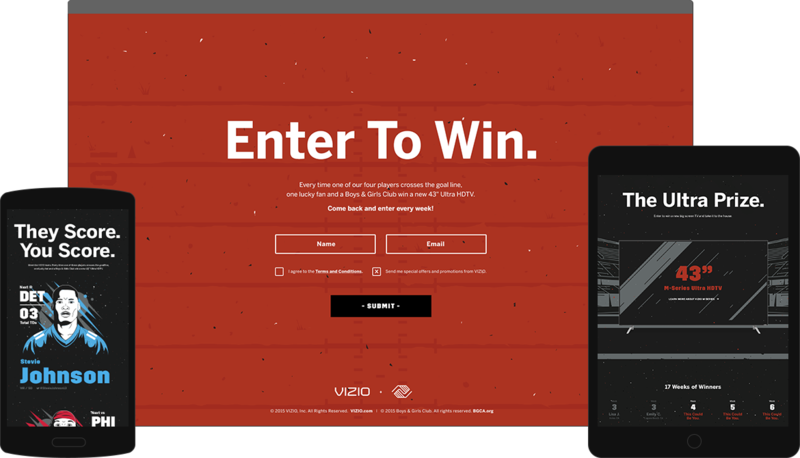 In partnership with NFL players and The Boys & Girls Club of America, TDs for TVs is VIZIO's annual campaign to help fans and kids score when the players do. 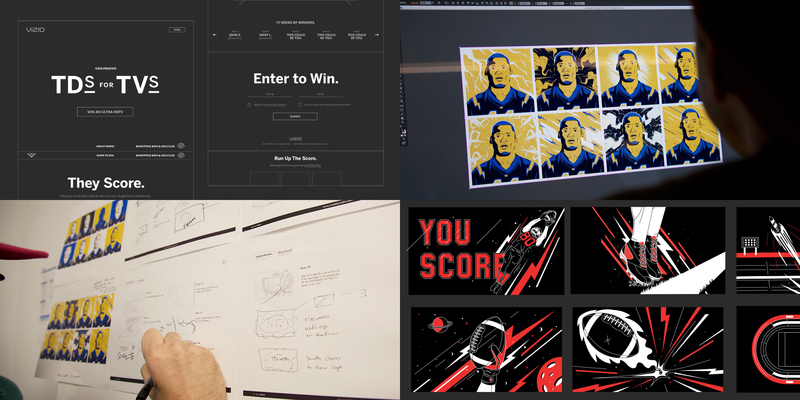 An artful and unique microstie utilized hand-drawn GIFs, an animated video, custom player avatars, and signup forms to provide a natural affinity for NFL fans, resulting in over 227K sign ups and extensive media. "With even more players involved this year, multiple Boys & Girls Clubs across the country will have the chance to benefit each week from VIZIO technology."